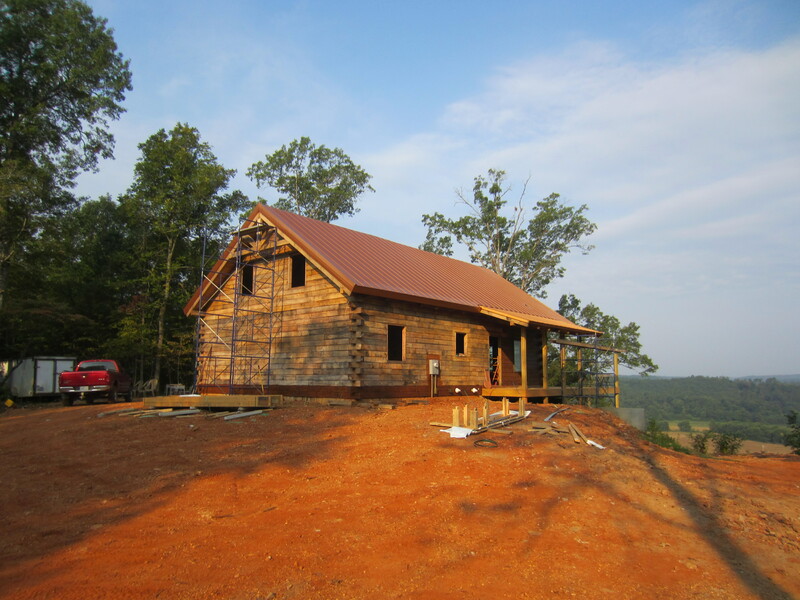 Well Stacked logs are the key to log cabin building success. Stacking the logs for your log home can be an adventure. 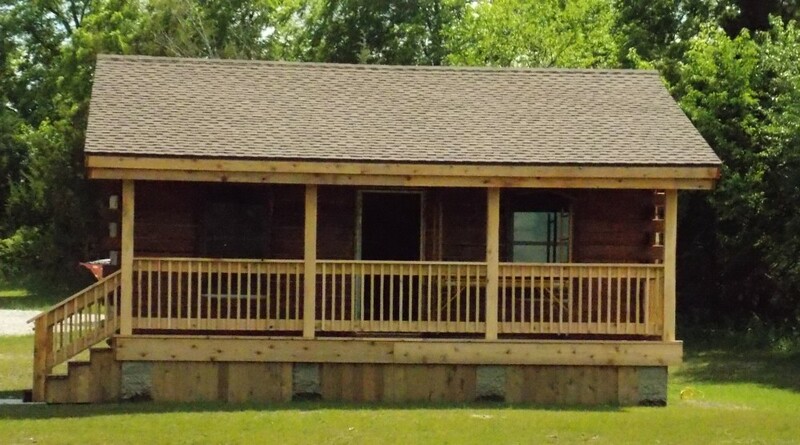 Each course of logs stacked adds to the excitement of living the log home dream. 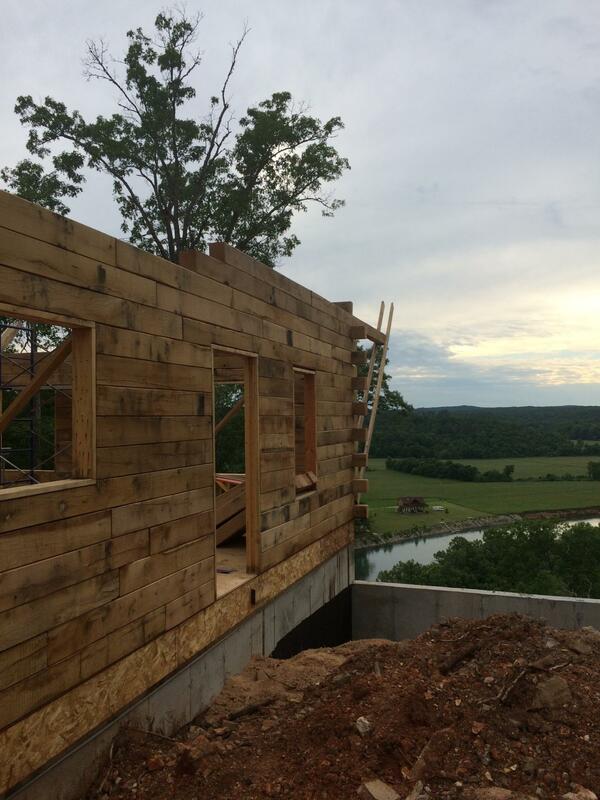 As the log walls get taller the home begins to show character and evolve into what the finished home will look like. 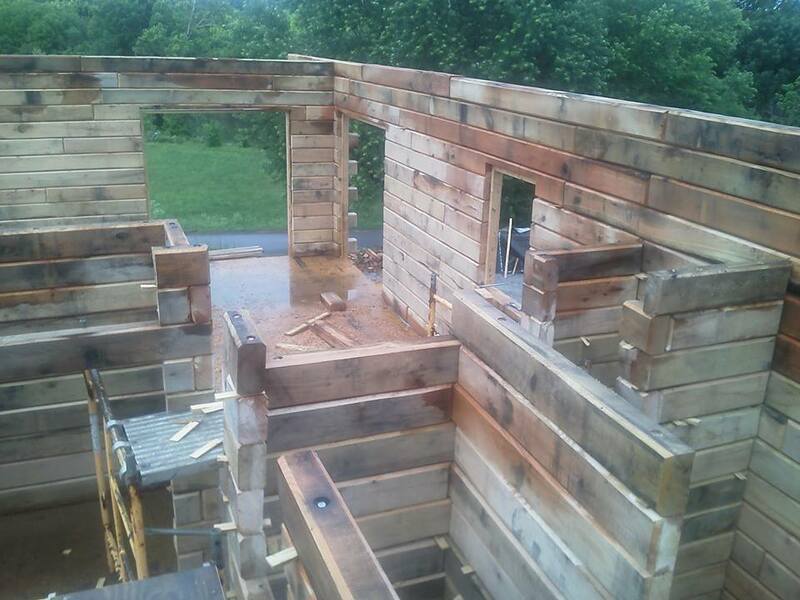 With great patience and an eye for detail the end result will be a beautiful log home with beautiful straight walls. 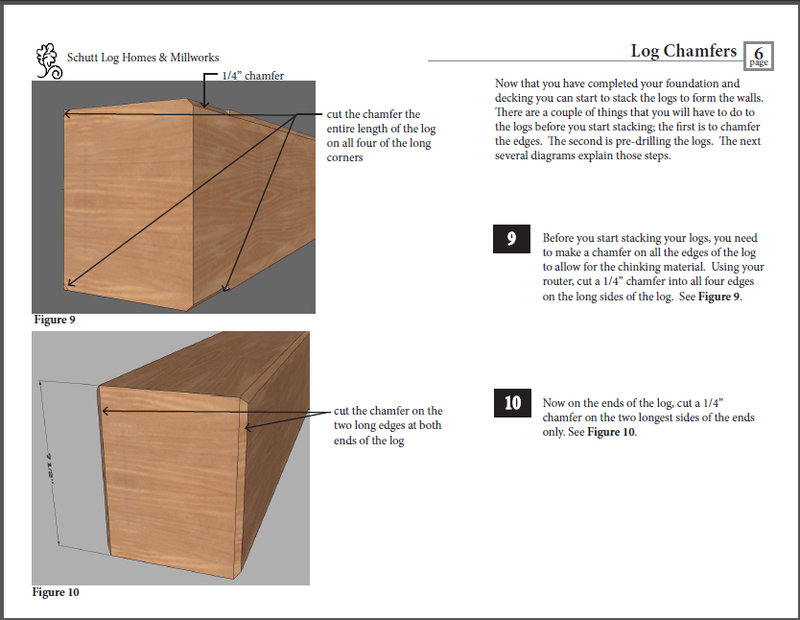 Each step that is taken when stacking logs is an important part of the whole log home building process. Before the logs are stacked each log gets chamfered on each edge. This is the process of shaving the cornered edge off and making in an angled edge. This gives space for backer rod installation and chinking to be applied which will seal any spaces and increase insulation. 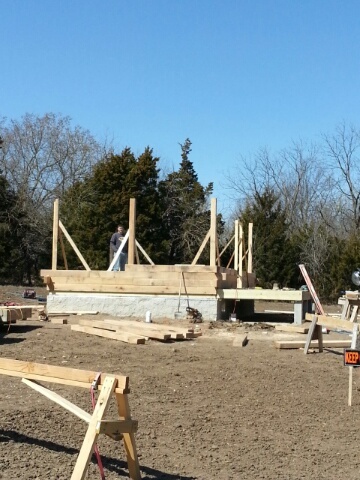 Step one is to get the first course of logs for the interior and exterior walls laid out correctly. Be sure door openings are marked and logs do not cover the openings. Opening should be the correct size to accommodate the width of the door frame and door. It is also very important to be sure the first course of logs are level. An electric planner can help with this. 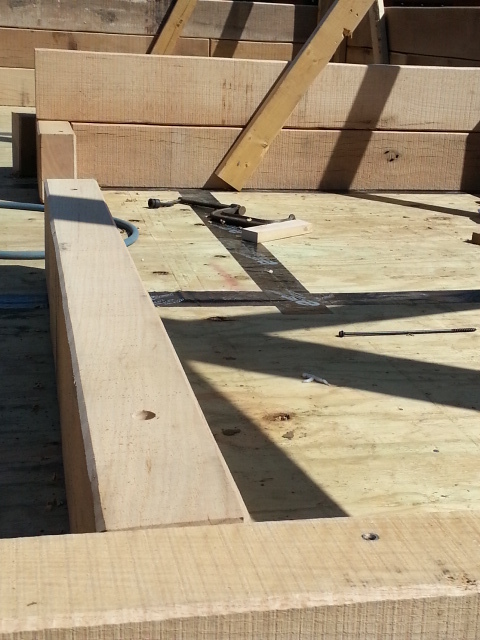 The first course of logs are attached to the foundation with J bolts which are run through the sill plate. After the first course logs are attached to the log below using Timberloc screws. The screws are placed approx. every 3 feet. You must predrill the holes for the Timberloc screws using a counter sink drill bit. 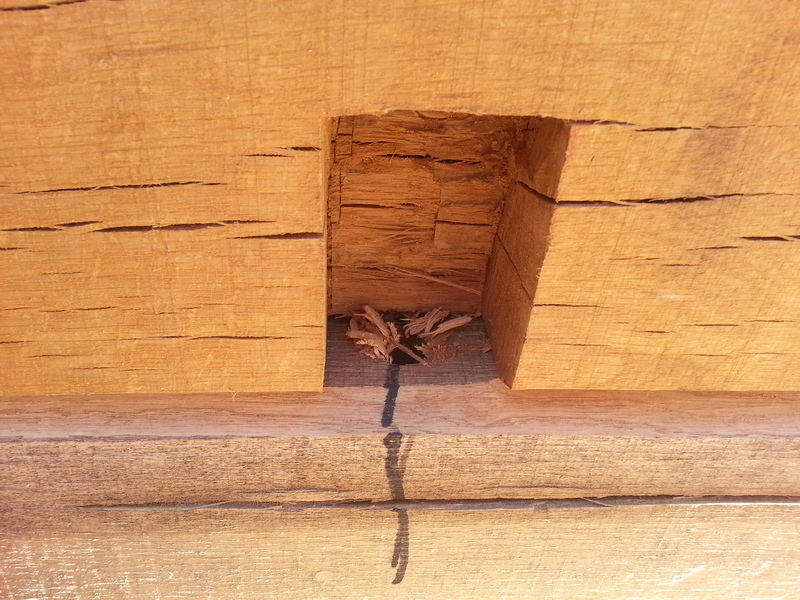 It is important the head of the screw sits below the top edge of the log. If the screw sits above the top of the log it will prevent the next log from sitting level and will be an obstacle to planning. These screws are extremely strong and will keep the wall stable during the building process. 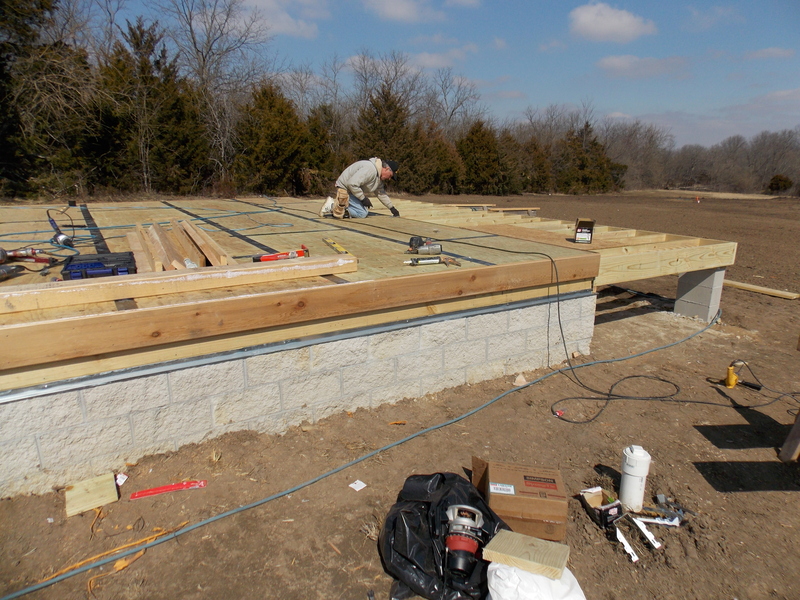 A helpful tip is to build temporary corner bracing out of 2×4 or 2×6 lumber on the inside corners where the log wall will be placed. These braces will be firmly attached to the floor to ensure they are stable and will not move. The logs can then be stacked against these braces to give a guide helping to keep the corners square and straight. Typically when we run the second course of logs is when we determine where the electrical outlets, switches and lights will be. Outlets are cut in using a paddle bit and chisel. At this point the electrical wire is run through a channel cut into the top center of the log to the wall outlets. Wiring will also be run behind the door frames to switches. As the logs are placed it is important each log is checked with a level to ensure it is sitting straight. As the wall gets taller is will be necessary to use a long level vertically to be sure the wall isn’t walking in or out as it goes up. The top and bottom of each log gets planned to make it flat. This helps in leveling the log and keeping the log from shifting. Shims are used to support the log if there is a warp or bow in it. These areas are fine and to be expected. Log by log course by course the walls go up. 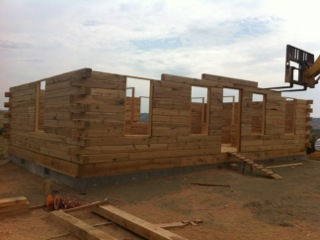 As the building process continues the log stacks become a log home. By following a few simple tips you will be building a home that will stand the test of time and be as strong and beautiful in generations as it is the day you finish it.